Thursday morning last week was a pretty special day; it was the day I defended my PhD thesis. For those of you who don’t know, a thesis defence is a formal examination, wherein the candidate (me) gives a public seminar on their thesis, and then is questioned by an examining committee, generally composed of their supervisory committee, plus an internal and external examiner, and all headed by a chairperson selected by the department. Here is the room I defended in. We figure it had 45-50 people in total. 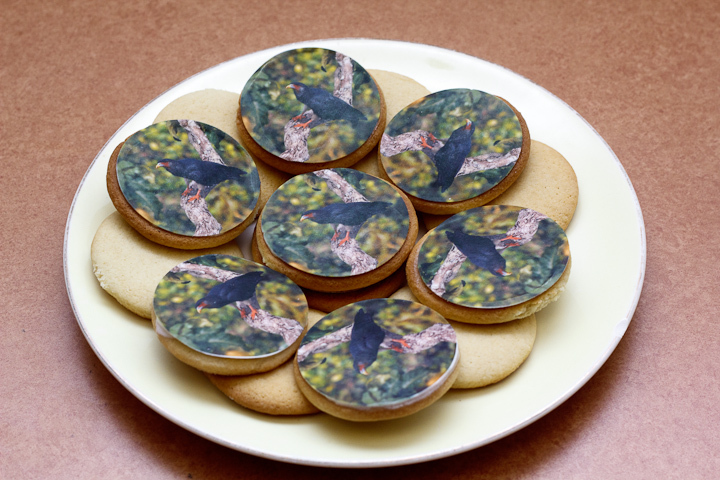 Catherine made some great caracara cookies to go with the coffee and water (which is required at defences!). 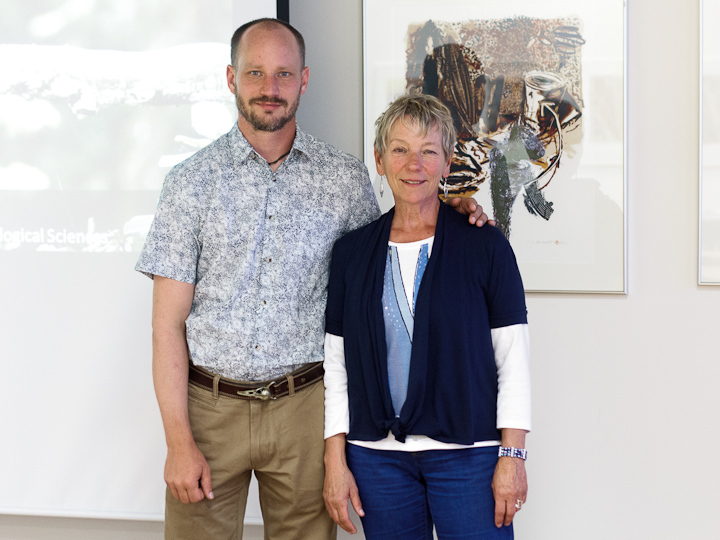 My examining committee was headed by Dr. Margo Moore, who did a great job keeping the event rolling and the atmosphere relaxed. Dr. David Lank was my internal examiner, a great guy I have always gone to with questions on bird research (we do not have a lot of institutional experience to draw on in a chemical ecology lab). 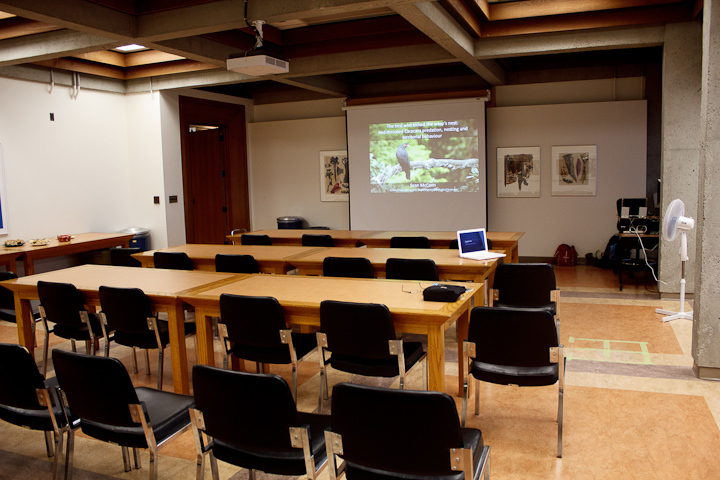 My external examiner was Dr. Keith Bildstein, a researcher at Hawk Mountain Sanctuary, with decades of experience in raptor research and in particular experience studying Striated Caracaras in the Falkland Islands and Patagonia. 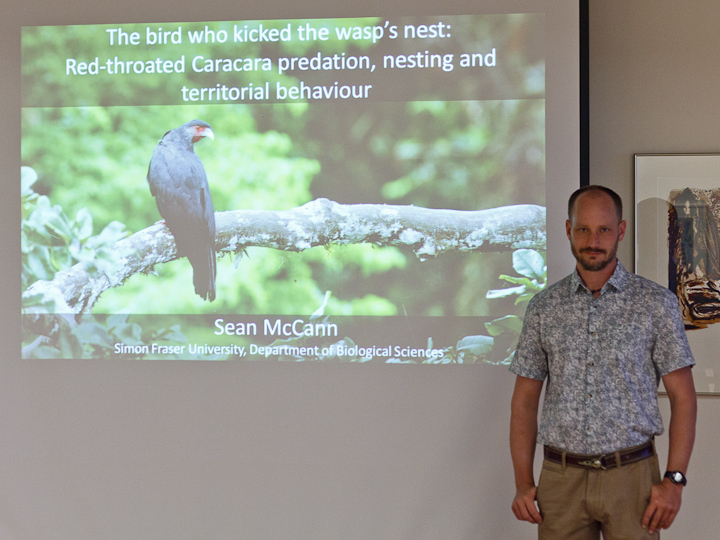 My advisory committee consisted of Dr. Sean O’Donnell, who was absent for the defence, but there in spirit (he is doing fieldwork in Costa Rica), Dr. Ron Ydenberg, an expert in bird foraging behaviour, and of course my supervisor Dr. Gerhard Gries. 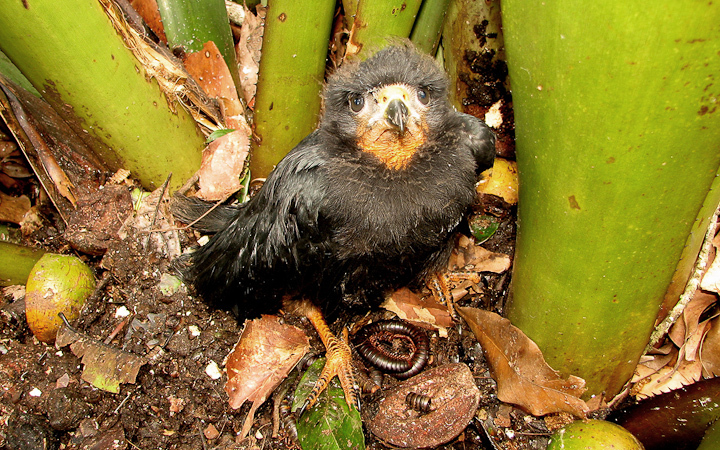 It is not clear that Red-throated caracaras build nests, as our observations in 2008 and 2009 showed that they nest in cleared areas of large epiphytic bromeliads. They seem to have only a single chick per nesting, and have some of the most extreme cooperative breeding in the bird world, with up to 6 or 7 adults providing care to a single chick. 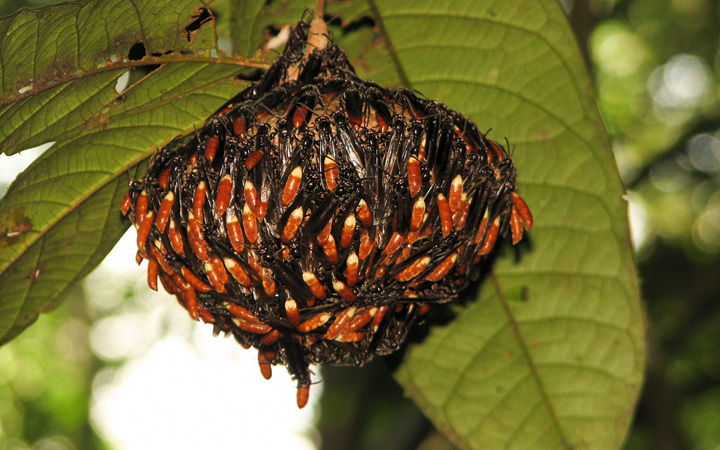 They are specialist predators on social wasps, and probably are responsible for a lot of brood mortality in these animals. They prey on a wide range of genera, mainly swarm-founders and almost invariably aerial nesters. 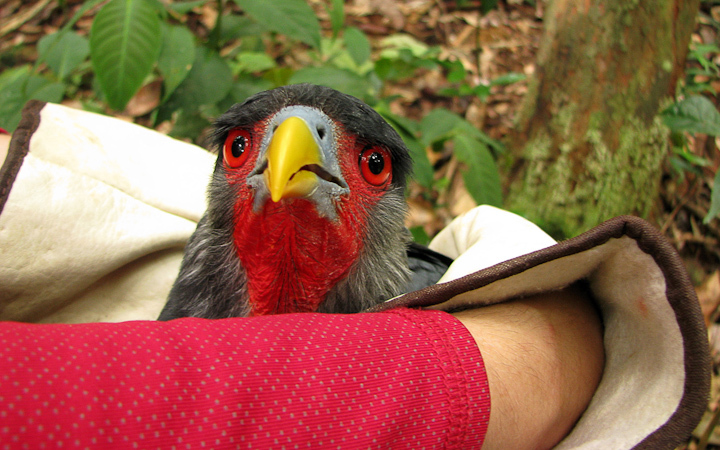 They are extremely social, vocal and territorial, with a repertoire of calls and displays, and even use physical conflict in territorial disputes. 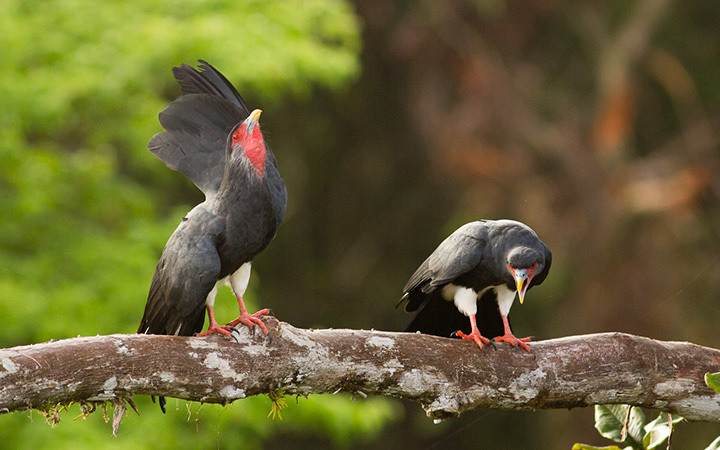 Contrary to previous hypotheses, we found no evidence of a chemical wasp repellent, but discovered that the caracaras exploit the absconding response of their swarm-founding prey to avoid harm when attacking wasp nests. The work in my thesis was not done single-handedly. 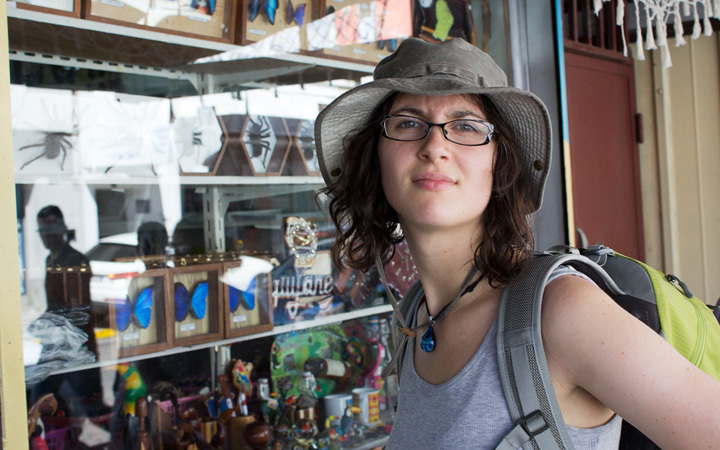 I had great help from field assistants, granting agencies and the CNRS is Guyane. 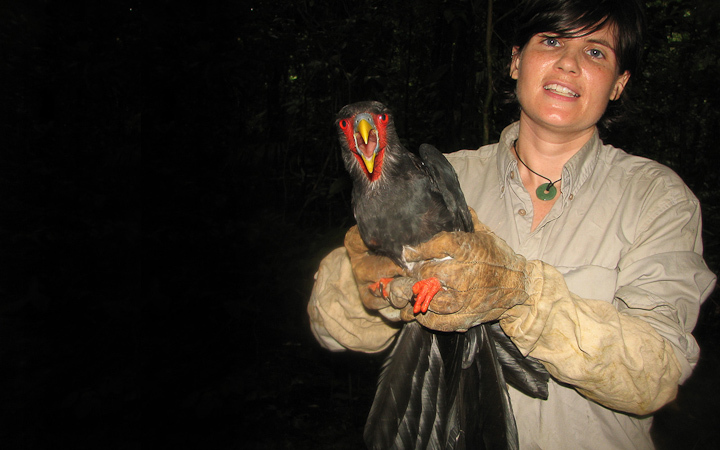 Here is Onour Moeri, my assistant in 2008 and 2011 with a Red-throated Caracara we had radio-tracked. This is Tanya Jones, a biology graduate who is now a triathlon coach, who came to French Guiana with me in 2009 and 2010. 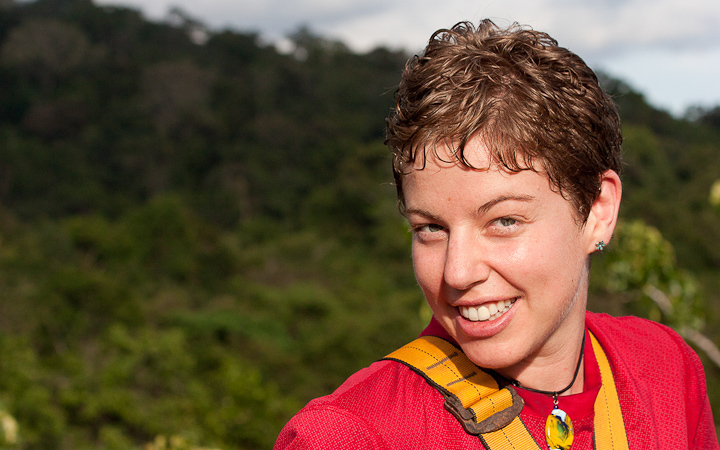 Catherine Scott, also known as @cataranea, came in 2012 for help with the army ant portion of the thesis (soon to be published!). 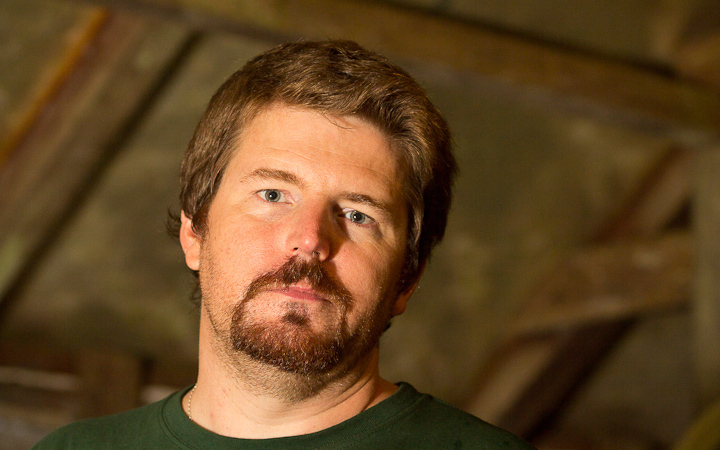 Patrick Chatelet, of CNRS Guyane was our good friend and host for much of our fieldwork. He has been at the Nouragues station for longer than most of the monkeys. 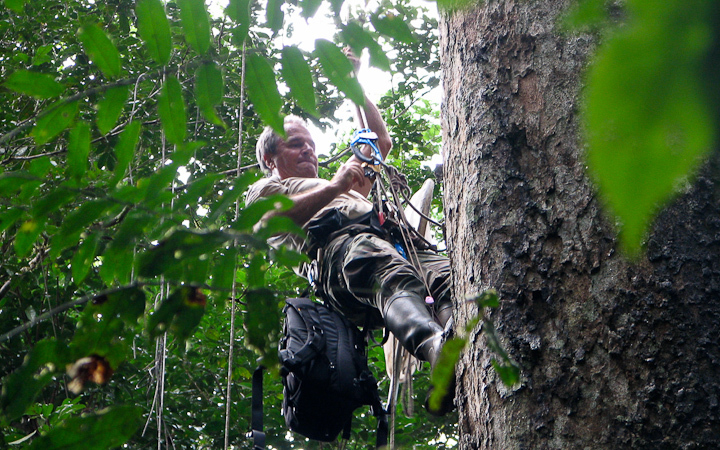 Philippe Gaucher of CNRS Guyane, is a great guy to have on your side when doing raptor or frog research in the rainforest. 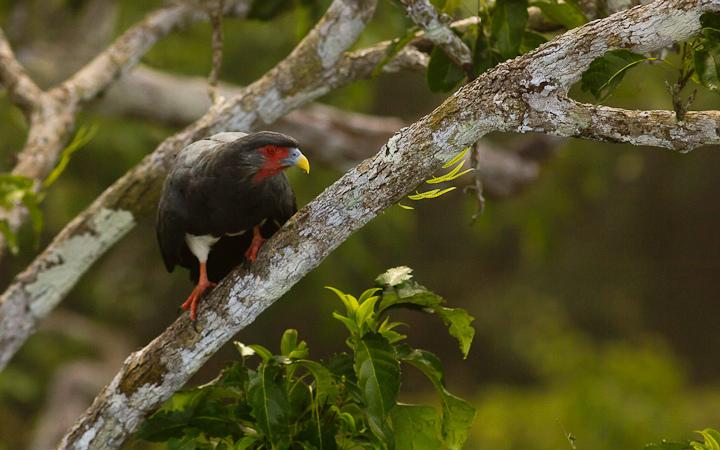 Here he is climbing the 2008 nest tree for the first-ever glimpse into a Red-throated Caracara’s nest. My mom attended the defence, and it was great having her there. She has encouraged me through all the years of this process! A bird in the hand: at the end of the seminar, I was questioned for about 1.5 h. Most of the questioning was more in the form of a discussion and I found I had quite a bit to say to everything thrown at me. In the end, the decision of the committee was to accept the thesis with minor revisions. When that is complete, I will have fulfilled all the requirements for the PhD program, and the school will award my degree. After the defence, we had lunch with teh committee, and then went to Trout Lake for a bit of a celebration. Here are some shots from the defence and the after-party. I know I have missed some important faces (Gerhard and Regine and Keith Bildstein! ), but I hope you will forgive me, as I was just feeling relief! ← Back to the beach! Wish I could have been there, Sean, it’s fascinating. Congrat’s again! Thanks! I had as good a defence as I have ever seen. No major problems at all! Hold onto this moment, Dr. McCann. It’s special, and one you should never forget. Thanks! It was a great day, and I really feel like I have accomplished what I set out to do.